If you’re thinking of replacing your old trimmer with a solid and sturdy trimmer, then Philips BT5200/15 pro skin advanced trimmer definitely belongs right at the top of your list. Put simply, this is one of the top-rated Philips trimmers you can buy in India. We’ve been playing with it for a week now, and it’s well-designed, reliable, easy-to-use, and loaded with useful features. What makes BT5200/15 one of the best in its class? Is it just the design? Or is it the performance? Or is there more to it than just good design and performance? Here, in this Philips BT5200 trimmer review, we give you a lowdown on this Philips trimmer and why we think it should be your next trimmer. 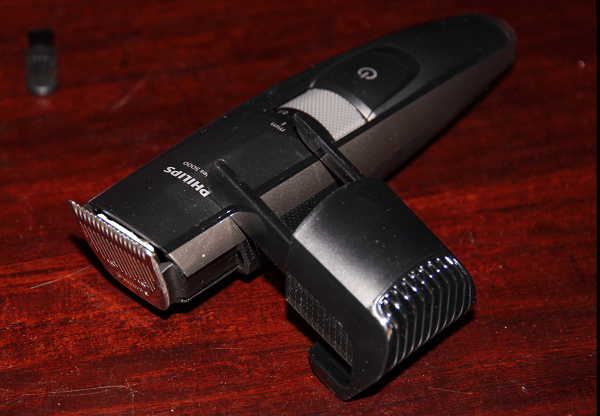 The high-end BT5200/15 is a cut above all other Philips trimmers. It scores well in all departments, which makes it a totally worth the extra cost and a great value-for-money purchase. Comes with only one trimmer attachment, which is not a disadvantage in itself. But you get more than one attachments with a few beard trimmers in this price range. A few minor disadvantages keep it out of the 5/5 rating club. Other than that, the BT5200 is a very good trimmer with sharp blades, easy zoom wheel action, and a remarkable battery performance. Don’t hesitate. Just go for it- you won’t be disappointed. It’s more than worth it. It’s a bit expensive compared to other Philips trimmers, but it’ pays for itself over time. The 3 year Philips warranty is a great addition, just in case if you are wondering about its durability and longevity. Read up more reviews to see what other buyers have to say about this trimmer. Let’s dig in and find out everything about the Philips BT5200. When I pulled the BT5200 trimmer out of its box and laid it on my table, I knew that I was dealing with one of best trimmers in Philips in terms of design. At about 7 inches in length and about 1 inch in width and depth, the BT5200 trimmer has a solid form factor. Weighing little less than 600 grams, it is definitely bulkier than most trimmers and may not fit very well in small hands but that doesn’t mean it’s difficult to handle. It feels nice to hold, not cheap at all. In fact, what it lacks in ergonomics it more than makes up for in build quality, grip and comfort. Though its superior matte-finish plastic body doesn’t do its high price justice, the Philips trimmer makes a strong case for a slightly large trimmer with great design features. BT5200 has a solid press button and a zoom wheel with a much nicer soft-touch rubber texture on the front. It has a textured plastic surface with a smoother finish on both sides, which is very handy to wrap your fingers around. I liked the curved design on the back with a raised divot, in particular, where you can place your thumb for better grip. Even though the BT5200’s body is good an sturdy, it seems as though Philips may have not paid much attention to the beard clip or hair lift comb. Upon first glance, I feared that it may break somehow. Made of cheap plastic, it has a fragile build quality to it and- whenever you’re trying to attach or remove- it feels more flimsy. And I’d have liked to see a beard clip with a better build quality, something that would be easy to slide in and take out. Let’s talk a bit about the zoom wheel or turn dial. The trimmer has a slightly larger dial, which allows you to change between 17 different length settings from 0.4 mm to 20mm. Although the number of length settings in BT5200 is less than that of QT4011 and QT4005, you get a closer trim. Perfect for those who love to sport a stubble beard or a three-day beard look. The wheel rotates freely and doesn’t get stuck at any point, which is a surprise given the history of zoom wheel problems in some Philips trimmers. A soft, handy on/off button located on the face of the trimmer just below the zoom wheel makes it very easy to start and stop the trimmer. To its credit, the button has a soft, velvety touch without any hard scale pattern on it. Like most Philips trimmers, BT5200 works cordlessly. And, the best part is, you can get it to work even when it is charging. The charging port with its two prongs is conveniently placed on the toe end of the trimmer. Impression: BT5200 has a clean, minimalist design and it’s got a nice look and feel to it. Thanks to its powerful motor, the Philips beard trimmer cranks out enough torque to work through even the roughest and densest beards. To its credit, BT5200 isn’t noisy, doesn’t vibrate too much, runs for a longer duration of time without developing too much heat, and provides a great trimming experience overall. Having said that, it does come with a few issues. For one, it is not ideal for close-up shaving and it shows in its performance. This has got more to do with the fact that the blades are not meant to give you that close of a shave. As you can see in the BT5200 image, there is a certain amount of gap between the top and bottom part of the blade and as a result, you can’t get a close shave as you’d get with other trimmers in India. Here’s another thing you might want to consider. The metal blades of the BT5200 trimmer are quite sharp and cut very well. It’s fair to say that the blades even deal with the densest beard smoothly; however, with the beard clip attached, the trimmer blades suddenly don’t look as good as they really are. The reason being the beard clip is fairly restrictive and keeps long hairs from getting in there. Make no mistake, the clip lifts hair well but it’s slightly restrictive in terms of cutting long hairs, and therefore, the BT5200 blades won’t be able to cut efficiently. And, you might have to go over that area, again and again, to be able to cut hairs neatly and evenly. Impressions: Except for a few minor complaints, BT5200 15 is a solid performer. The BT5200 gives you up to 17 different length settings and lets you keep your beard groomed–just the way you want it. With its 0.4mm setting, you can set it for a super-close, shadow stubble look, which is something you don’t see often in many Philips trimmers. There are three different increments in all, as shown in the table below. As was mentioned earlier, the zoom wheel is the best I’ve seen in all Philips trimmers that I’ve used personally- it is made of soft rubber and very easy to turn. 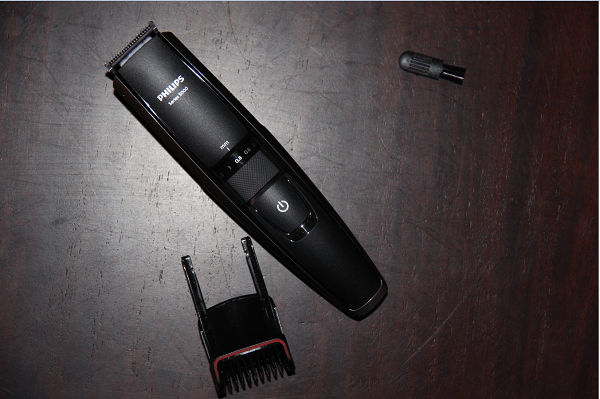 Impression: BT5200 may not boast of the most length settings in its class (has only 17), but gives you more than enough options to let you experiment with styling and trimming your beard. BT5200 battery performance is right up there at the top. It gives you up to 60 minutes on one charge, which is great given the fact that it typically takes just about the same time to get charged. This trimmer is designed to work even when it’s charging. Another thing that is worth mentioning is that it has a battery indicator which lights up to give alerts- a blinking orange light indicates that the battery is running out of juice and a blinking white light confirms that the trimmer is charging. It comes with a non-replaceable battery, which is not ideal. But that’s a common feature of many Philips beard trimmers in India. Impression: Long run-time of up to 60 minutes per charge is one of BT5200’s big pluses. Its battery light indicator and corded operation come in handy, making it unbeatable in this department. Like its cousins, BT5200 trimmer also has a blade head that’s removable and waterproof. Pop out the head, stick the top of the trimmer in running water and wait for all the mess to clear. 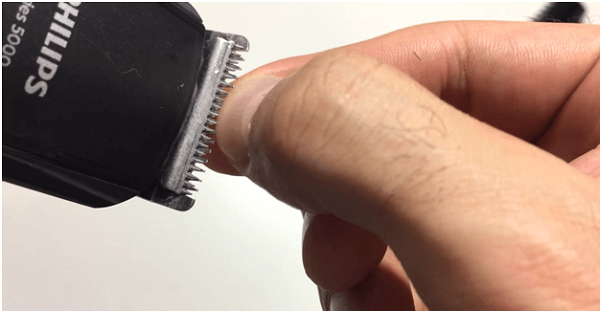 This is the easiest way to get rid of all the hair that is stuck underneath the blade- which is very likely to happen if you have rough, thick beard hairs. Although Philips says that the BT5200 is fully washable, bear in mind that it is not completely waterproof. More to the point, the motor and circuitry in the bottom half of the trimmer isn’t waterproof so don’t use the trimmer when you’re showering. Impression: BT5200 is easy to clean and is yet another addition to Philips’ growing line of no-maintenance precision beard trimmers. BT5200 is a great trimmer to buy: it is well-built except its flimsy beard clip attachment; loaded with features; puts in a good performance every time you use it to trim (can’t say the same for shaving); and gives you great value for money. It is not one of those cheapest trimmers and you might have to spend some extra cash, but it’s worth it. You can’t go wrong with this Philips BT5200. Philips BT5200 is currently the best trimmer from Philips you could buy in India. No doubt about that. But there are a few trimmers from brands like Wahl that are in the same price point but come with more attachments. Check them out only if you’re looking for a trimmer with more attachments. Otherwise, you’re all good with this series 5000 trimmer from Philips.